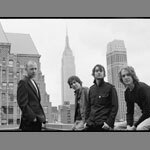 In the winter of 2005, English four-piece The PRiMMS transplanted themselves from the UK to NYC. Since that time, they have quickly gained a foothold on the rock scene, showcasing their sound that is richer and more three-dimensional than you're your typical four-man band. The soaring vocals above the heavy yet catchy guitar riffs create a dramatic landscape of sound. Along with the thick bass lines and inventive drumming, The PRiMMS' sound comes together as beautifully melodic yet heavy and jagged. Brooklyn based three-piece band the Upwelling (Brothers Josh and Ari Ingber and keyboardist/foot pedal bassist Conor Heffernan) impress with their full sound. Both the self-titled EP and the band's live show project a fullness that overwhelms and enraptures listeners, almost hypnotizing them with crescendos that define the Upwelling sound. The band's commanding, emotive and intellectual style reference bands like Pink Floyd, the Police and Leonard Cohen. The Upwelling have garnered critical acclaim, industry attention as well as respect from their musical peers. Upwelling EP reached a top 1% ranking on Garageband.com. Most impressive, the Upwelling was designated as the first unsigned band and first EP ever on Virgin Megastore's "Virgin Recommends" series. The band has headlined Mercury as part of the CMJ Music Marathon and has showcased at the venerable SxSW in Austin. 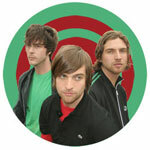 Spin.com recognized them as band of the day and nominated them as one of fifteen finalists for Band of the Year 2005. 9:30 - Cross-Pollination set ft THE PRIMMS & THE UPWELLING! !